Vastly differing estimates of elephant numbers and elephant poaching. Competing approaches to the conservation of wildlife and habitats. Significant political divisions within Botswana since the Presidency changed in April 2018. 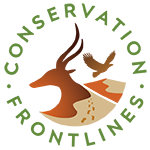 Conflicts of interest between the eco-tourism and sustainable-use lobbies and rural people and their elected representatives. Foreign sentiments about wild species and habitats, especially versus the needs of rural people. In Botswana, these issues heated up in September 2018, when Dr. Mike Chase, the veteran elephant researcher and founder of the advocacy group Elephants Without Borders, told the BBC News that he and his EWB colleagues had found 87 elephant carcasses between the Okavango and Chobe rivers, and that many of these had been killed illegally—i.e., poached. Hunting (for trophies or meat) has been illegal in Botswana since January 2014. “‘People did warn us of an impending poaching problem and we thought we were prepared for it,’ said Mr. Chase.” Leithead included no statement from the Botswana government or the DWNP, the Dept. of Wildlife and National Parks, and no verification of the statement that its APU, the Anti-Poaching Unit, had been disarmed. The claim that this was the “largest scale” of elephant poaching in Africa was preposterous, but it gained public attention. While elephant poaching in Botswana has risen since President Khama’s 2014 ban on hunting, it pales against the mass killing (generally for ivory) of elephants in Tanzania and Mozambique in recent years and, in 2012, in northern Cameroon and the Central African Republic. As a former BBC journalist (I spent 28 years with the BBC World Service and the BBC College of Journalism), I know how these stories are put together, and how the customary BBC concern with balance often goes out the window when it comes to wildlife. Animal-rights groups are routinely treated as the sole purveyors of truth, and such stories—the furor over Cecil the lion, for example, which I researched and wrote about in detail—become emotive clickbait. So I contacted Alastair Leithead to ask about the balance and facts of his report. His reply: “I honestly don’t believe Mike Chase made up the 87 carcasses—I’ve met him a few times and respect him and his work and believe he acted in the best interest of the animals at great personal cost it seems.” Leithead thought it was “a shame” that people with “an agenda” had used his statement of findings to create a row about hunting, the APU and conservation. However, the Botswana government has said it did not find the number of carcasses Chase claimed had been killed illegally, and it strongly disputed any lapse in effectiveness of the APU. 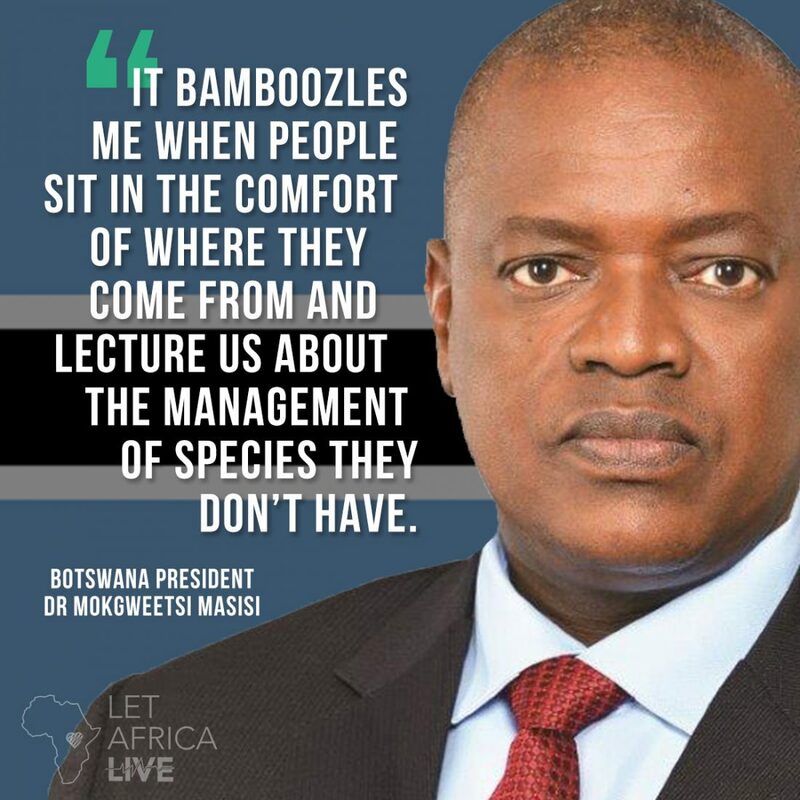 President Masisi responded angrily to the BBC story, and the truth about the “disarming” of anti-poaching patrols emerged: Botswana’s APU had traditionally carried semi-automatic rifles, as used by game rangers across southern Africa. But during the presidency of Ian Khama—a vehement opponent of legal hunting as well as poaching, and a former commander of the BDF, the Botswana Defense Force—the APU had been given full-automatic military assault rifles. This was illegal, but President Khama overrode the law and never submitted the issue to Parliament. The APU continued to be deployed along Botswana’s borders with Namibia, Zambia and Zimbabwe and members were authorized to shoot suspected poachers. As a result, in 2015 alone, “at least 30 Namibians and 22 Zimbabweans” were killed by the APU or the BDF on suspicion of poaching. After taking office, in April 2018, Ian Khama’s successor, President Masisi, announced (to the relief of neighboring governments) an end to this aggressive approach to suspected poachers, and the APU gave up its assault rifles. However, the members were not “disarmed”; they went back to their semi-auto rifles. There was never a period when the APU was unable to perform its duties, and it can still call in heavily armed BDF units in the Chobe, Linyanti, Savuti and Okavango districts for support if necessary. In the view of many sustainable-use conservationists across Southern Africa, Chase’s BBC story (which was picked up by other international news organizations) and his conclusion (that, since the APU was “disarmed,” elephants were in unprecedented danger) seemed calculated to generate sympathy for elephants—and timed just as a move to end Botswana’s four-year-old ban on hunting was gathering strength. Rural communities and their leaders and MPs (Members of Parliament) say that after hunting was banned in Botswana, in 2014, they suffered substantial increases in crop losses and property damage due to elephants, and in livestock losses to lions. Some communities also lost significant hunting-related revenue. As a result, a large majority in Parliament, of both the governing Botswana Democratic Party (BDP) and opposition MPs, have called on government to lift the hunting ban, particularly on hunting elephants. According to Maun East MP Kosta Markus, speaking in June 2018, available figures indicated that Botswana’s elephant population is 237,000 while the country’s carrying capacity had been calculated by the DWNP (in the early 1990s) to be 50,000 elephants. The number 237,000 is widely regarded as inflated; it may instead be the elephant population of KAZA, the Kavango-Zambezi Transfrontier Conservation Area, where Botswana, Namibia, Angola, Zambia and Zimbabwe converge. Figures extrapolated from the African Elephant Status Report 2016 put elephant numbers for KAZA between 202,000 and 240,000. That survey also calculates Botswana’s elephant population at 131,626 with a margin of error that could mean a maximum of 144,134. Elephants Without Borders now sets Botswana’s number at 126,114 with a possible maximum of 136,036. In response to the request to allow hunting again, the Masisi Government appointed a ministerial committee to consult with all affected parties and to call traditional kgotla meetings, local assemblies where Batswana can question, challenge and even defeat suggested government policies. This committee was formed in late 2018 and its findings were made public in February 2019. The committee’s report, combined with further media coverage of Chase’s claimed catastrophic rise in elephant poaching, led to the controversy that rages today around elephant management in Botswana. Before going further, it is worth looking briefly at historical and political contexts. Between Independence, on September 30, 1966, and the imposition of the hunting ban by President Ian Khama in January 2014, Botswana had seen, thanks to favorable natural conditions, protection in national parks and strict quotas in hunting concessions, a significant rise in elephant numbers. At the time, elephant poaching was not widespread in Botswana. This led to a wildlife conservation plan built on three platforms: protected national parks, photo-tourism reserves and concessions where controlled hunting—for trophies and also for meat by communities such as the San/Bushmen, who use traditional weapons—was legal. In each hunting concession, the DWNP set annual quotas of game that could be harvested. This wildlife plan fostered high-price/low-volume tourism, which earned substantial income for the country and for safari operators but, other than some employment, it provided little cash at the local level. However, many San (and Tswana) communities opted to sell their hunting quotas, set by government for species including elephants, to safari operators and to work for them as guides, trackers, skinners, drivers and camp staff. Then President Khama banned hunting. In this, he was supported and encouraged by his brother Tshekedi (the Environment Minister, responsible for the DWNP and APU) and by anti-hunting allies and business associates such as Dereck Joubert (the filmmaker and owner of the vast Selinda Concession) and Mike Chase and Elephants Without Borders. Just as Jomo Kenyatta had done in Kenya 40 years earlier, Khama unilaterally banned hunting with no consultation or public input and no legislation in Parliament. At the same time, he gave military weapons to the APU and authorized them to shoot poachers, also without the permission of Parliament. Government did not provide alternative livelihoods and many villages lost (literally) the lion’s share of their income. In 2015, Steve Johnson of the Southern African Regional Environment Program told me of San communities along the Khwai River, outside the protected area of the Okavango, that had earned hundreds of thousands of dollars annually from selling their hunting quotas. 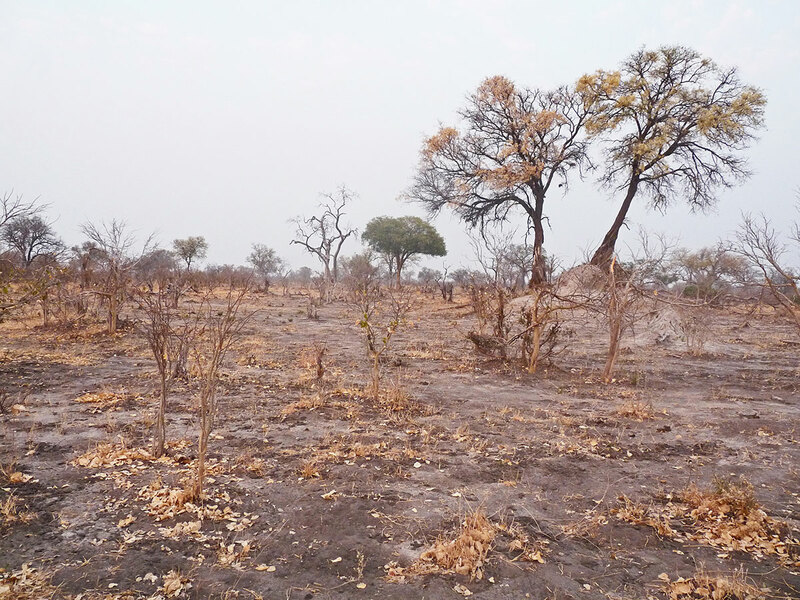 In 2018, Chief Timex Moalosi of Sankuyo, north of Maun, told me that the hunting ban cost his villagers $600,000 a year in lost income, and that they were suffering wildlife damage on a massive scale. The hunting ban not only impoverished communities, it also led to more human-elephant (and human-lion) conflict. 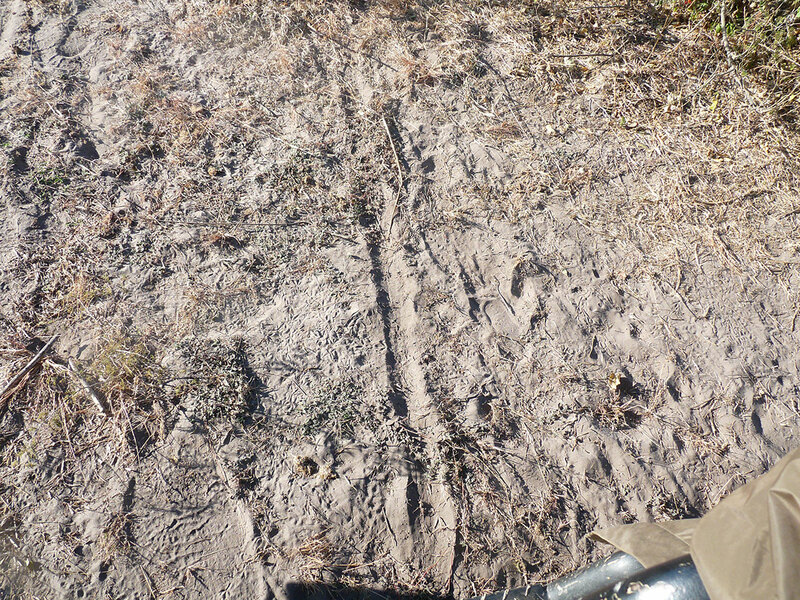 Hunting concessions had acted as buffers between game parks and farmland, and boreholes in the concessions (wells maintained by safari operators or local people) meant that wildlife need not move into farms in search of water. Hunting provided other benefits as well: Safari operators supplied meat to villages and left partial carcasses in the bush, which meant that, if necessary, lions and other predators could find food without raiding livestock. The presence of hunting parties also deterred poachers. These issues were ignored by the Khama Administration, which moved away from the democratic and consultative traditions of Botswana and became increasingly authoritarian and unaccountable. It began to crack down on journalists, critics and freedom of speech. In several visits, from 1993 to 2018, as a journalist and then an academic researcher (as well as a camping-safari aficionado), I saw how ordinary Batswana and conservationists, local and foreign, had become wary of expressing any opinion not in line with President Khama’s policies. Researchers feared losing their permits if they were seen to be “off message” by the government. Another worrying trend was the evidence of growing cronyism and the development of a powerful elite around the Khama brothers and their intelligence chief and business associate Isaac Kgosi. Kgosi has since been sacked and arrested on charges of corruption. In April 2018, by law, Khama stepped down after two terms in office. He had tried to arrange for his brother Tshekedi to succeed him, but the Botswana Democratic Party would not accept that. Instead, Mokgweetsi Masisi was elected President. As a fallback, Khama expected Masisi to appoint Tshekedi to be Vice-President. When he did not, Khama turned against President Masisi. The power struggle in Botswana is still going on, with national elections coming up in October 2019. But many Batswana, and political and conservation commentators, are relieved that the country appears to be returning to the more accountable and democratic ways of the pre-Khama era. One of the most encouraging aspects of the current furor over elephants is that, as evidenced by the appointment of the committee tasked to study hunting, government is now listening to citizens again. “Western news media seems to mourn the change of presidency in Botswana, and yet in Botswana itself this is not the case. To find out why, perhaps it is necessary to look at the apparent difference in governance style of these two presidents. Masisi consulted with his people by setting up this [hunting] task team specifically for Social Dialogue. These sentiments were echoed in Botswana’s Mmegi newspaper by Masego Madzwamuse and Liz Rihoy, who also contrasted the focus on elephant advocacy by the Western media and NGOs with the importance, in Botswana, of accountability and the need to consider the human cost of wildlife damage. The Khama brothers opposed this return to consultative politics and President Masisi’s policy of listening to the people on hunting and their wildlife problems. As Environment Minister, Tshekedi Khama had fought for the hunting ban; in December 2018, seven months after his brother left the Presidency, he lost his ministerial post. In the same month, the Botswana government decided not to renew Mike Chase’s “large herbivore” (i.e., elephant) research permit. With this, and the committee report and the doubts about Chase’s poaching report, the bitter divisions over hunting were now openly on display. From the submissions made by the communities and other stakeholders, the Committee as assigned by Your Excellency, found it necessary to propose the following recommendations, stated here in summary form. Develop a legal framework that will create an enabling environment for growth of safari hunting industry. Manage Botswana elephant population within its historic range. Department of Wildlife and National Parks (DWNP) should undertake an effective community outreach program within the elephant range for Human Elephant Conflict mitigation. Strategically placed human-wildlife conflict fences be constructed in key hotspot areas. Game ranches be demarcated to serve as buffers between communal and wildlife areas. Compensation for damage caused by wildlife, ex gratia amounts and the list of species that attract compensation be reviewed. In addition, other models that alleviate compensation burden on Government be considered. All wildlife migratory routes that are not beneficial to the country’s conservation efforts be closed. The Kgalagadi southwesterly antelope migratory route into South Africa should be closed by demarcating game ranches between the communal areas and Kgalagadi Wildlife Management Areas. Regular but limited elephant culling be introduced and establishment of elephant meat canning, including production of pet food and processing into other byproducts. The Masisi Administration has indicated that it will act upon these recommendations, though it did not promise to enact them in full. It is clear that the hunting ban will be lifted. New regulations and other actions—to reduce human-wildlife conflict and to restore income to local communities—also are likely. The recommendation to cull elephants and process their meat for pet food was the most controversial and drew immediate reaction from animal-rights advocates such as Dereck Joubert, who called it a “Blood law” that would lead to the killing of “massive numbers of elephants.” The BBC continued to adhere to Chase’s story of elephant poaching and seemed to reject (mainly through the tone of its reporting) the government’s new pro-hunting stance; it too highlighted the pet-food angle, as did CNN, Britain’s The Telegraph and many other international news outlets. The highly emotive reporting largely ignored the fact that these were still just recommendations, not policy or legislation, and that many observers expect that the culling proposal in particular may not be implemented because of possible damage to Botswana’s tourist industry and its international reputation. Hunting, however, will become legal again. The ban had been decreed by Ian Khama with no vote in Parliament and no legislation, so it can be lifted easily. One hopes that, in the process, DWNP creates formulas for scientifically based hunting quotas and fair shares of hunting revenue. As before, hunting concessions should not only act as buffers against wildlife intrusion, to reduce damage to crops, livestock and property, but also provide income and livelihoods at the community level. However, while government works on this, it still has to contend with the growing row over poaching. In September 2018, Mike Chase had reported 87 elephant carcasses and said that many of them had been killed illegally. In December, Elephants Without Borders submitted its 2018 Dry Season Survey, an aerial study of elephants and other wildlife in northern Botswana, and this time it reported 128 “fresh/recent” elephant carcasses, “many of which showed clear signs of [having been] poached,” and from this extrapolated a total of 837 such elephant deaths. Quoting sources on both sides of the issue, the BBC story includes terms such as “false and misleading,” “unsubstantiated and misleading,” “hoax,” “traitor and liar” and says that Chase has received death threats. The figure reported by [EWB] in the report on the number of elephants in their survey area is not statistically different from the 2014 survey. The only reasonable conclusion that can be inferred from the authors’ statistical analysis is that the population has remained stable between the two surveys. The results of the survey are at odds with statements attributed to Dr. Mike Chase in an interview with BBC. It is regrettable that Dr. Chase, in a report purporting to be scientific, includes an astonishing number of pictures of dead elephants, 63 pages to be precise. This is definitely not standard practice in aerial survey report writing. By their own admission, only a portion of all carcasses observed during the aerial survey were verified by helicopter. The authors report that only 33 out of a total of 128 suspected poaching events were actually confirmed by ground verification. [T]he authors reported a carcass ratio of 2% in 2010 and 7% in 2014, with 8.1% reported for 2018. The 2014 figure is almost 4 times higher than the 2010 figure, but the authors did not sound the alarm at the time. Instead at that time, the authors considered Botswana an elephant safe haven. Surely, greater concerns should have been expressed after their 2014 survey than now, when the ratio is only slightly higher. The government’s observation that, although carcass sightings rose after 2014 (when the hunting ban came into force), no alarm was sounded by EWB until a change in the no-hunting policy was likely, is supported by my own experience. Beginning in 2015, I wrote a series of articles for African Arguments, Commonwealth Opinion, Talking Humanities and The Conversation that called attention to a rise in poaching after the hunting ban. During my research trips to Botswana after 2014, Amos Ramakoti (of the DWNP in Maun), Michael Flyman (organizer of the DWNP wildlife censuses) and Baboloki Autletswe (head of the Kalahari Conservation Society) all told me that poaching had increased since hunting was banned, and that Batswana were no longer cooperating with anti-poaching teams as they had previously. Instead, more rural people were helping ivory poachers from Zambia and Namibia and were themselves engaging in poaching for bushmeat. (See my book Ivory. Power and Poaching in Africa for details.) Flyman said that known elephant poaching had risen from about 30 to 35 animals annually before the ban to more than 50 per year since 2014. In 2015, I contacted Mike Chase to ask about poaching levels and the possibility that the rise was linked to the hunting ban, but he was then busy in Kenya. From 2016 onwards, Chase declined to reply to e-mails from me and (on my behalf) from veteran conservationist John Hanks requesting his views on the evident rise in poaching. He had been pictured with carcasses of recently killed elephants in mid-2016 but did not then flag this as a potential crisis. It was only after the change in government, with the impending end of the Khama Regime and the strong likelihood that hunting would be legalized again, that the opportunity arose to try to link the (false) story of disarming the APU to an increase in poaching. Chase has openly opposed the restoration of legal hunting. It is clear that there has been a rise in elephant poaching in Botswana since hunting was banned in 2014, but not a significant one; and it is also clear that this progressive but modest rise in poaching began when hunting was banned. The present controversies over hunting, conservation policies and the threat of poaching are a complex (and evolving) mix of politics and power struggles within Botswana. However, these domestic matters are made worse by the Western media’s tendency to favor animal advocacy over science and to ignore the views of African governments—and the experience of people who have to coexist with wildlife. Increasingly, however, in Africa and elsewhere, conservationists and wildlife scientists, universities and NGOs (like the International Union for Conservation of Nature and its Sustainable Use & Livelihoods Specialist Group) recognize the importance of listening to and working with local communities. Sustainable conservation and development solutions must incentivize and bring income to rural people, while conserving habitats and species that would disappear if land were taken from wildlife and turned into farms. Botswana can show us the way. Professor Keith Somerville is a member of the Durrell Institute of Conservation and Ecology at the University of Kent (and teaches at the Centre for Journalism there). He is a fellow of the Zoological Society of London, a senior research fellow at the Institute of Commonwealth Studies (University of London) and a member of the IUCN Sustainable Livelihoods Specialist Group. His book, Ivory: Power and Poaching in Africa, was published in 2016; his newest book, Humans and Lions: Conflict, Conservation and Coexistence, will be available in July 2019. Community-Based Organization (CBO) as represented by NCONGO would like to appreciate the handing over of the Hunting Ban Consultative Report to His Excellency the President of the Republic of Botswana by the cabinet sub-committee led by Minister Hon. Frans Van Der Westhuizen. CBOs would like to support the recommendations by the Cabinet Sub-committee that conservation Hunting should be re-introduced in Botswana. The re-introduction of hunting will go a long way in alleviating rural poverty by re-introducing tourism benefits lost in 2014 when the hunting moratorium was initiated. Hunting will also mitigate against human wildlife conflicts especially crop damage, livestock predation and the destruction of property especially by elephants. Elephants are causing deaths to our people and have injured many. As a result, the hunting of elephants will result in these animals relocating from human settlements too far away protected areas where they are meant to live. Community Based Organizations (CBO) calls for the strengthening of the Community-Based Natural Resource Management (CBNRM) program in Botswana. It is our strongest believe that the CBNRM program is one approach that can result in meaningful tourism benefits to communities not only through hunting but through other tourism development projects. As communities, we do not take kindly to those who are attacking our Government and all initiatives meant to re-introduce hunting and uplift our livelihoods and reduce human wildlife conflicts in our local areas. It is believed that Botswana is a sovereign state and we have a right to discuss and decide on issues which directly affect our livelihoods and well-being. This is said in reference to the elephant distribution and populations which are threatening food security and lives in our local areas. Finally, we would like to encourage the international community to financial support conservation initiatives in Botswana especially the management of elephants such that they be reduced to carrying capacity levels and have them managed away from human settlements.